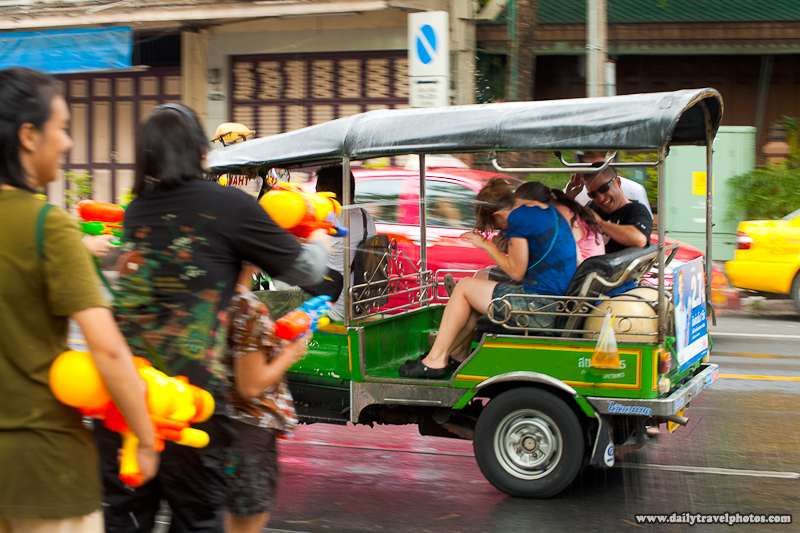 Thai tuk-tuk passengers cower in terror from a barrage of water-gun attacks during Songkran. 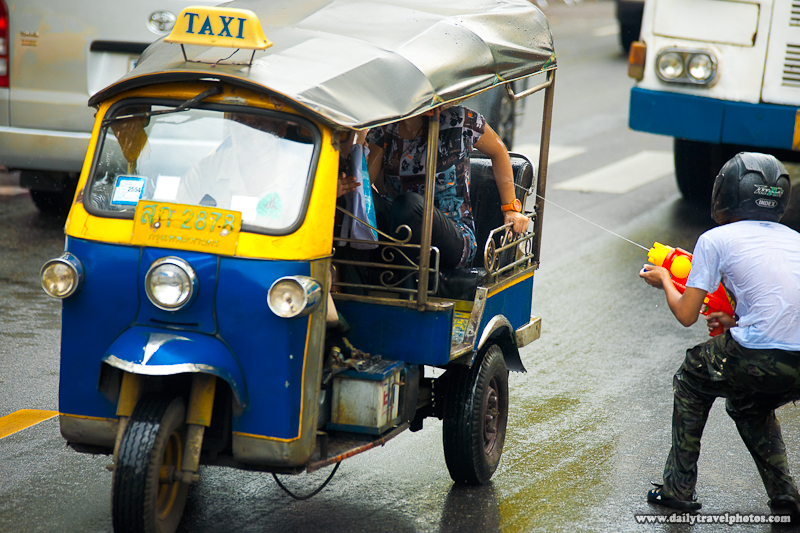 Through all three days of water fights, the position you see above was the default posture of terror among tuk-tuk passengers. 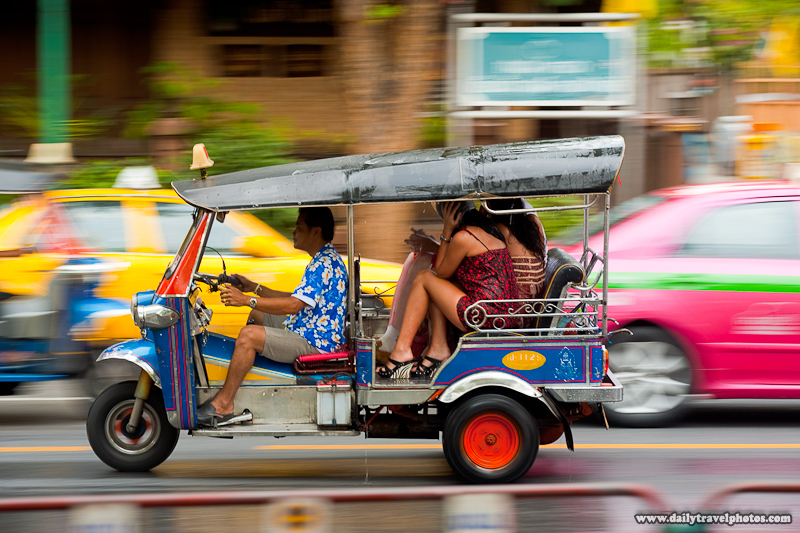 Strangely, Thais know it's Songkran, yet, inconceivably, they still choose to take an open-air tuk-tuk instead of a closed taxi. 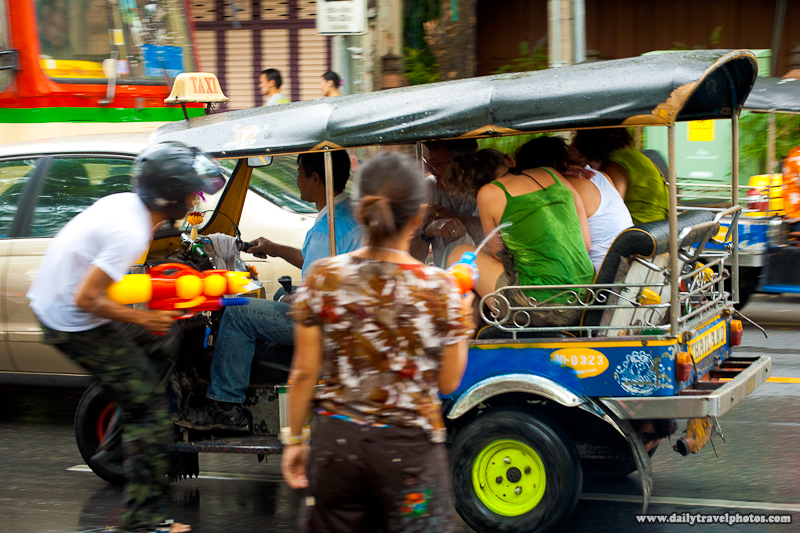 Foreign tourists suffer heavy casualties in their tuk-tuk during Songkran. Tourists, on the other hand, don't know any better about which transportation to take. Many come to Bangkok even without the knowledge that a festival is ongoing. They find out soon enough why they should've taken the fully enclosed taxi instead of a tuk-tuk. Foreign tourists assume the cowering position under heavy water attack during Songkran. A passing tuk-tuk is assaulted by a helmeted Thai bandit during Songkran.